We are so close to Summer I can almost taste it! Our summer is already shaping up to be a pretty busy eight weeks and I want to make sure we get some summer fun in there too or it will be over before we know it! 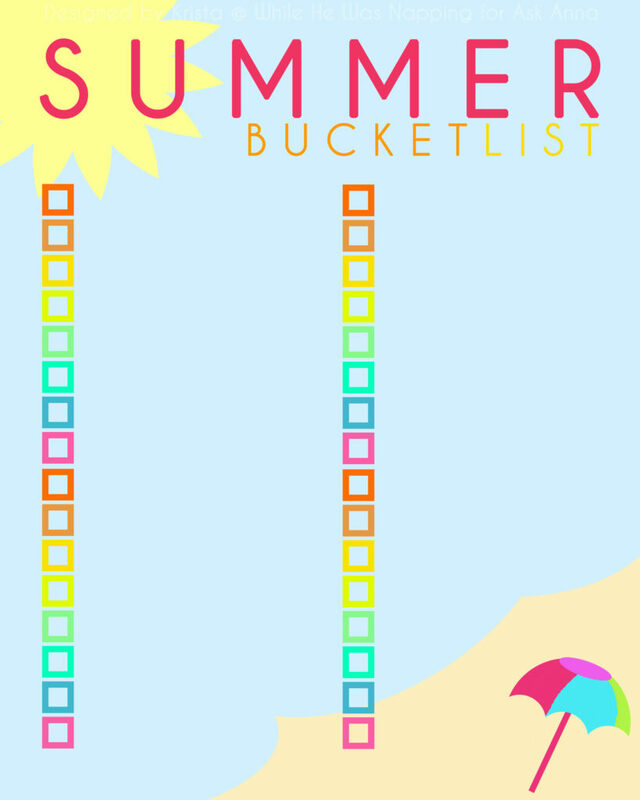 And Big J keeps asking if we can go back to the splash pad yet… I’d love to stop saying, “not yet.” So, to help us focus and make sure we get some fun in our crazy schedules, I made up a Summer Bucket List printable. There’s two more weeks of school here (UUUUUGGGHH), and then the fun begins! Are you out of school yet? Has your summer fun already started? If so, you lucky ducks! These last two weeks are draggggging. Maybe we can speed them up a little by getting some planning done before summer vacation starts. There’s lots of boxes and our goal is to cross them all off! I put our bucket list inside a frame and then wrote on the glass with a wet erase marker (overhead marker). If we decide we need to make changes to our list, it’ll be easy to edit. And it creates a fun way to display our list as well. I can leave it out in plain sight, in a prominent spot in our dining room. I’m hoping this will help me remember to do the things on it, and will (hopefully – pretty, pretty please!?!) help motivate my kids to get the work done so we can go out and PLAY!! That’s right, I’m bribing them with fun. There are worse things, right?! 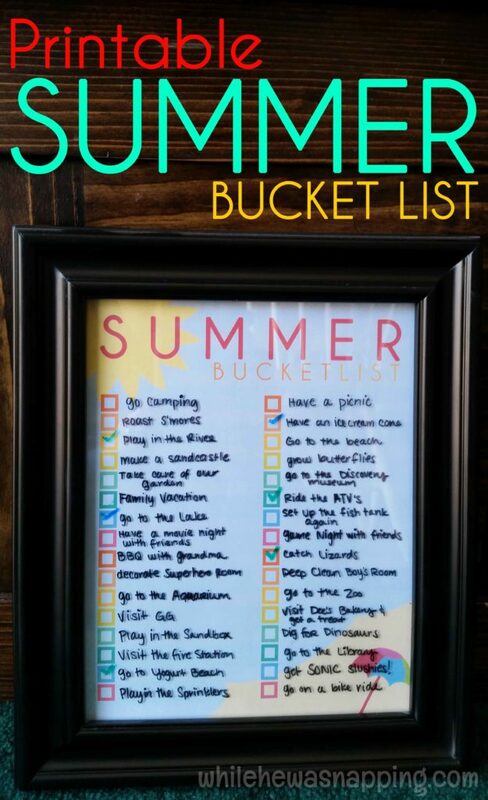 Want your own Summer Bucket List printable to help you accomplish all the fun you want to have this summer season? GRAB YOUR COPY OF THE BUCKET LIST PRINTABLE RIGHT HERE! Go, go, go! The link above or either photo will take you to the download page so you can get the file! Happy Summer, friends!